Young hero Bellamkonda Sai Sreenivas and Pooja Hegde’s socio-fantasy entertainer ‘Saakshyam’ released on Friday to strong openings in B, C centres. The film, however, received average reviews from a section of reviewers. Speaking at Saakshyam’s success meet last night, the film’s director Sriwass and producer Abhishek Nama urged audiences to appreciate and encourage their film so that it will give the boost to make more such innovative and different films are made in future. 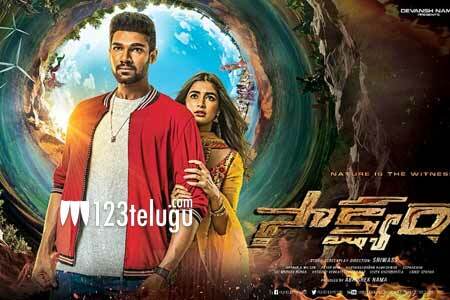 Saakshyam’s box-office potential will be estimated after its performance on its first Monday today.